Currently working on a series of paintings depicting Rock N Roll Icons. All works are Acrylic on Panel. I will consider commissioned work. 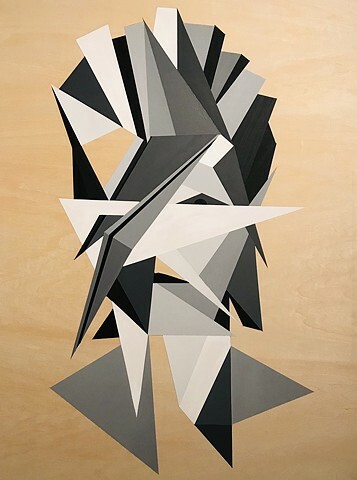 This is a painting of David Bowie in geometric form completed in 2019.